» Tee Dee RC Conversion - Is it really this simple? 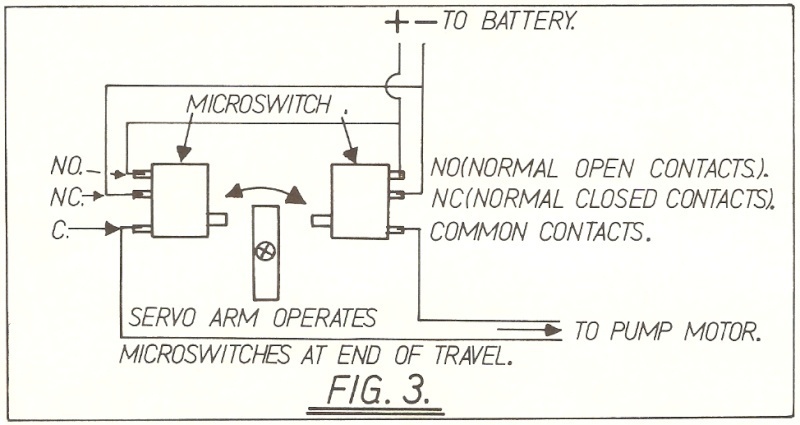 This is the basic wiring diagram using two microswitches for flood/blow of a ballast pump. No need to apolgise, Richard - it does the business! Do you have a wiring diagram of micro switches as travel limiters on a piston tank? Sorry I don't have a diagram.